In every family siblings disagree. Yet in times of trouble, sorrow and grief they tend to pull together. Not every family member is always known to each other, especially in large families. There are cousins, aunts and uncles. Sometimes removed many times. You may never know them. But here in the United States and around the world is a family so large that every member can not know the other. Yet we share a common bond. Much like the military who are brought together under their banners, we are a group of people brought together by one common bond never really understood by anyone outside “The Job”. We are not cousins, distantly related but brothers and sisters who do what others need for their safety and order in a society that is very violent. We only ask for the same respect that the common person is entitled to. A fair amount of dignity. This space is a place of remembrance for my brothers and sisters. Please feel free to leave a message to their families, brothers, sisters, mothers, fathers and children that they have left behind. And the Lord said, “Have you read the spec on this order? and testify in court the next day. it keeps its sense of humor. “What’s the tear for?” asked the angel. “You’re a genius,” said the angel. The Lord looked somber. ”I didn’t put it there,” he said. If you are aware of an officer that should be added to the honor roll please contact me with as many specifics and links to articles as you can. I will do my best to include them here. so very sorry for the loss of a fallen Marshall! Prayers are with the family always, God Bless! We give thanks to his family for his service to all us. It is very much appreciated and not said enough . May God bless you and ease your pain of the lost of your love one. As a fellow officer in the neighboring state of Mississippi my heart goes out to the family forever and please believe you all will bounce back it will take time. 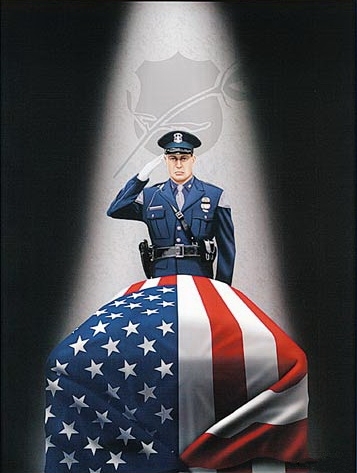 RIP Officer Collier…my thoughts and prayers go out to you and your family.